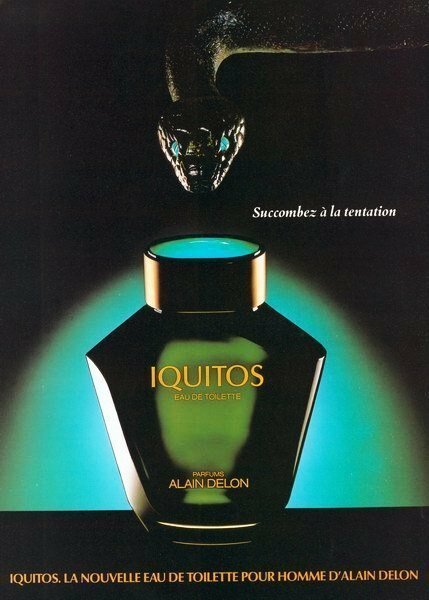 Iquitos (Eau de Toilette) is a popular perfume by Alain Delon for men and was released in 1987. The scent is spicy-woody. The longevity is above-average. The production was apparently discontinued. 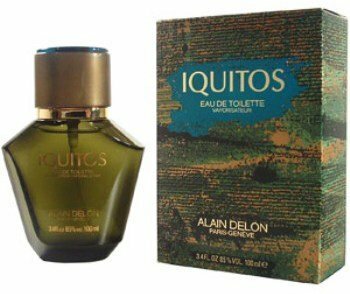 Art & Fragrance have issued a 'lovely' sweet soft floral for men on behalf of the French actor Alain Delon. 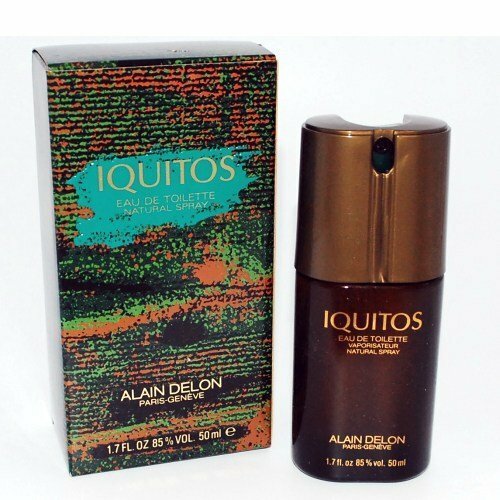 Even though the drydown is more conventional Iquitos deliberately flouts the gender code. 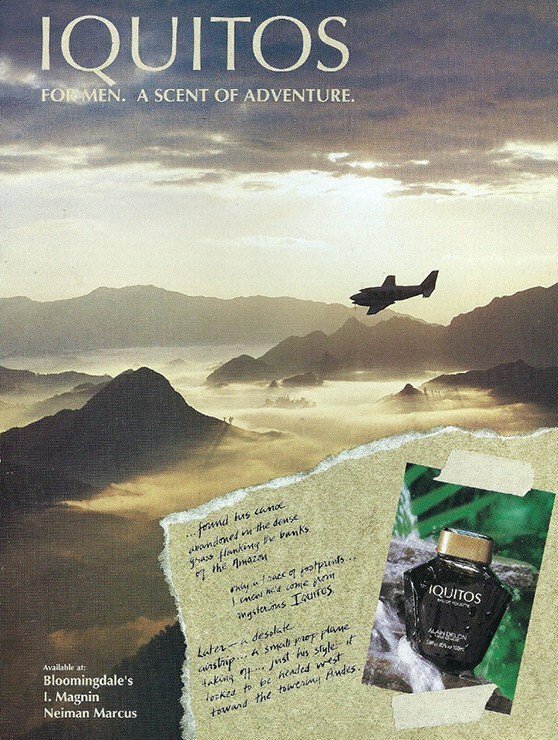 Would the perfumer responsible please make themself known to the authorities. Iquitos is a rubber tapping city in Peru. 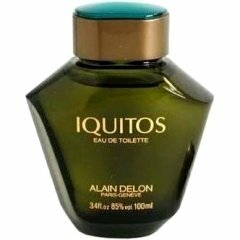 Write the first Review for Iquitos (Eau de Toilette)!